If you were a guest in my home, I would love to offer you a lovely room to stay in . . . one that is light and airy . . . Yet warm and cozy . . . It would be ideal if it had a view . . .
We try to always have the room prepared, we want guests to stop in, and we are always open to Emergency Foster Care. Here is one way we are prepared for guests . 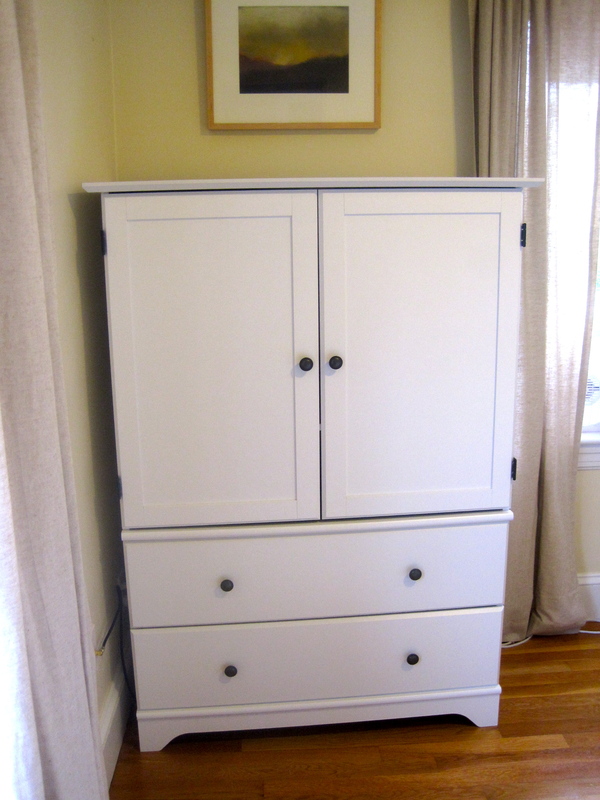 . .
We have a little armoire (with a sweet Mickey Meyers Painting over it) . 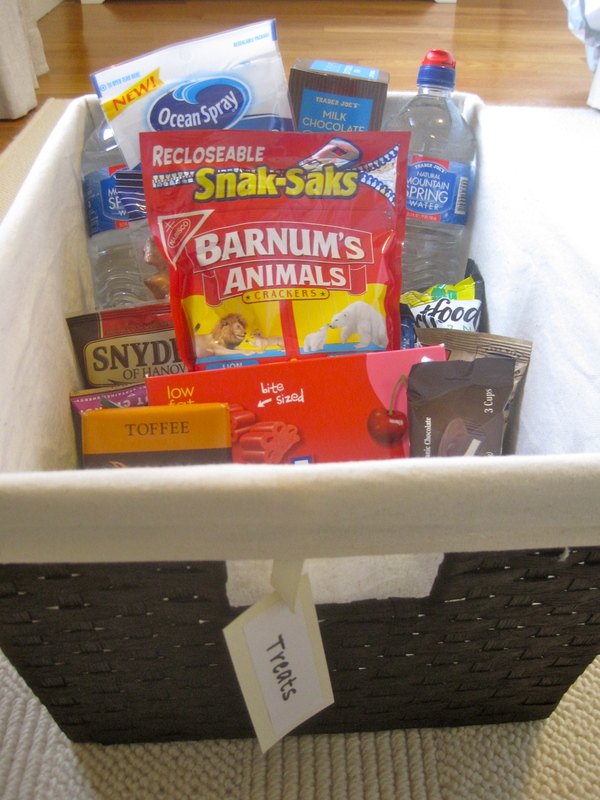 . . that is ready for storing some of our guests things, but is also equipped with . . .
A TV, DVD player, some DVD’s a two baskets . . .
One of toiletries . . .
And one of treats . . . Yewande likes Animal Crackers . . . 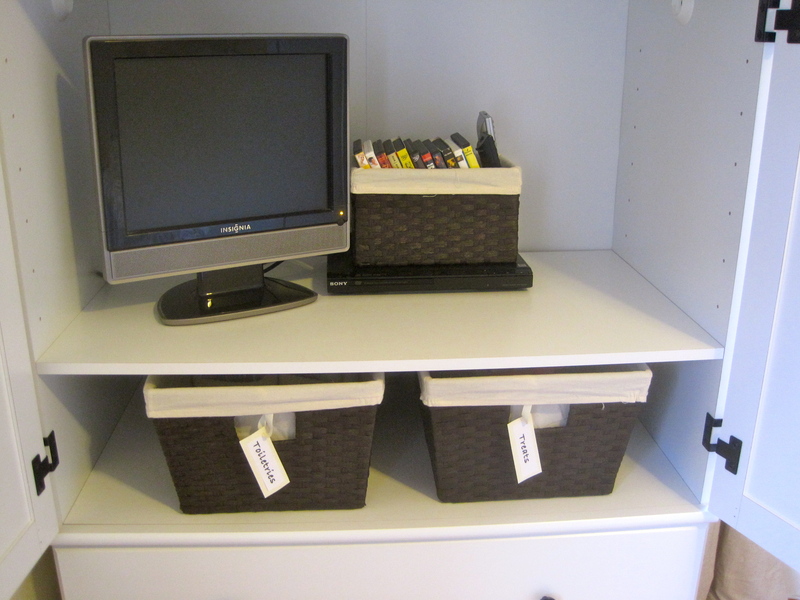 Organizing Tip of the day: Prepare a space for your guests and be ready for them. 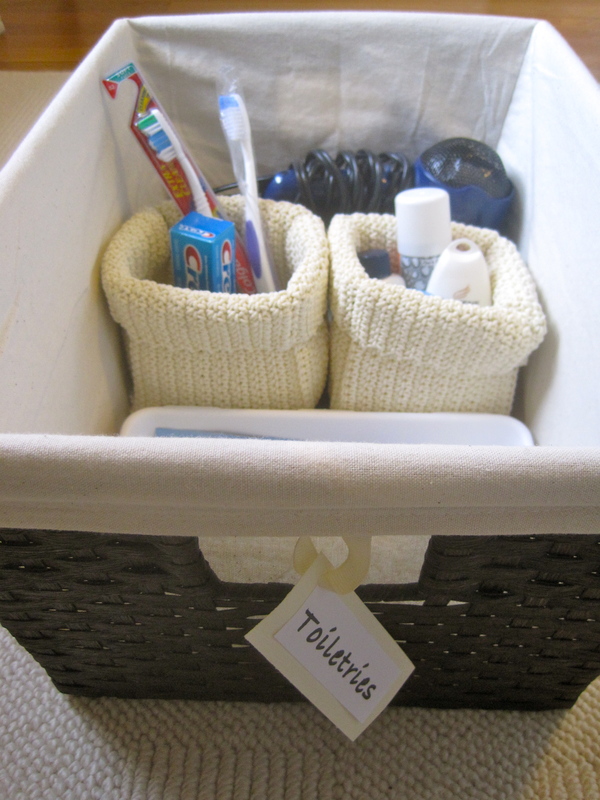 With a place for toiletries and treats we are thinking of our guests and preparing a place for them before they arrive. I love you Mrs. Sharp!!! 🙂 So excited! Do I have to share the animal crackers with Yewande? Or she can have the crackers, and I will eat the toffee. P.S. 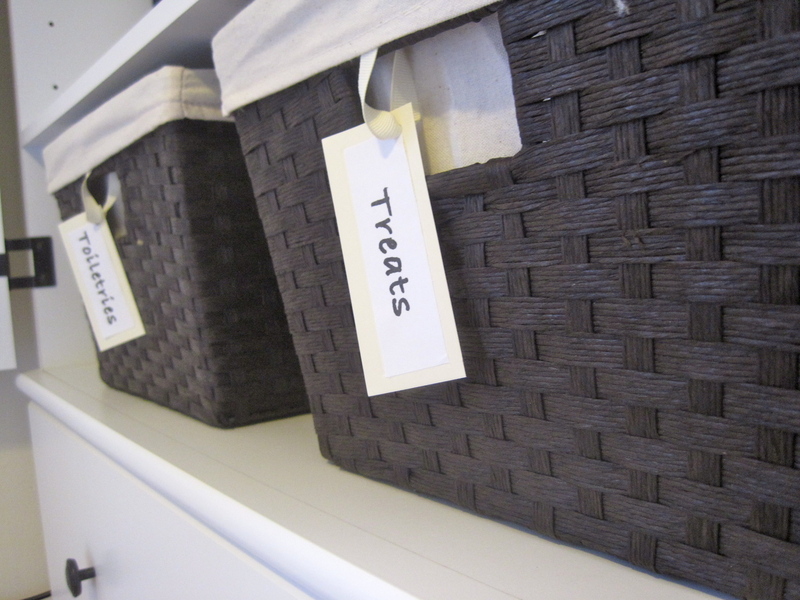 I recognize the Ikea baskets–I have some, too! I love ’em! Love the guest room. I’m trying to get myself and home organized and have been wandering around the web for suggestions. When I came upon your site, I just fell in love. I hope all my work turns out as cute as yours. I really like the baskets you have in this post and am wondering where you got them. Do you think they might still carry them and were they expensive? Thank you for your help.